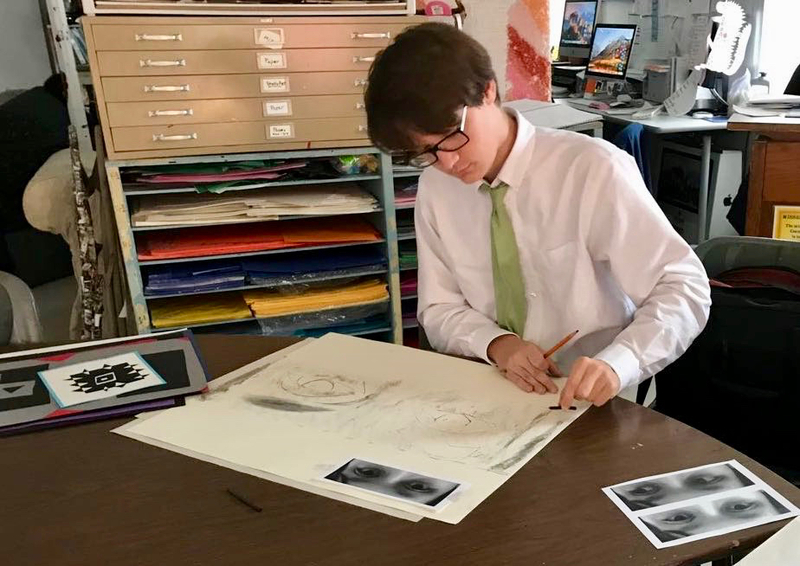 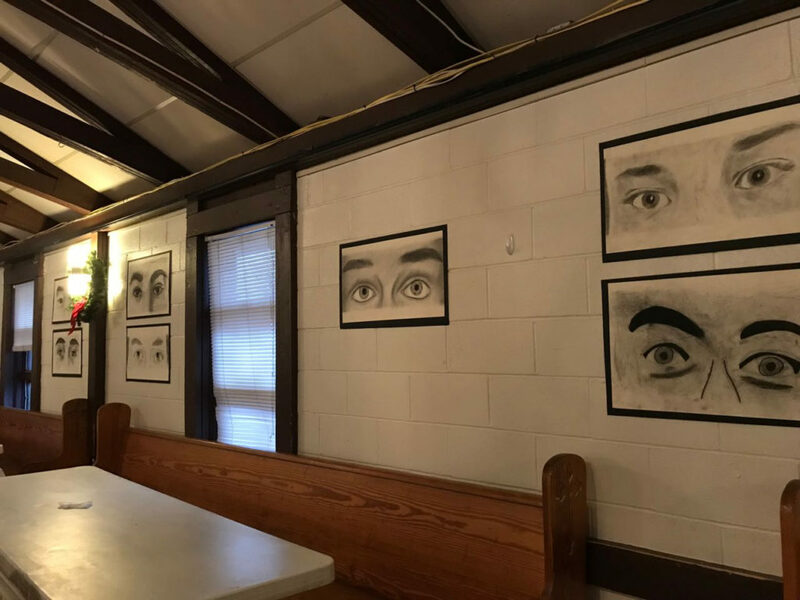 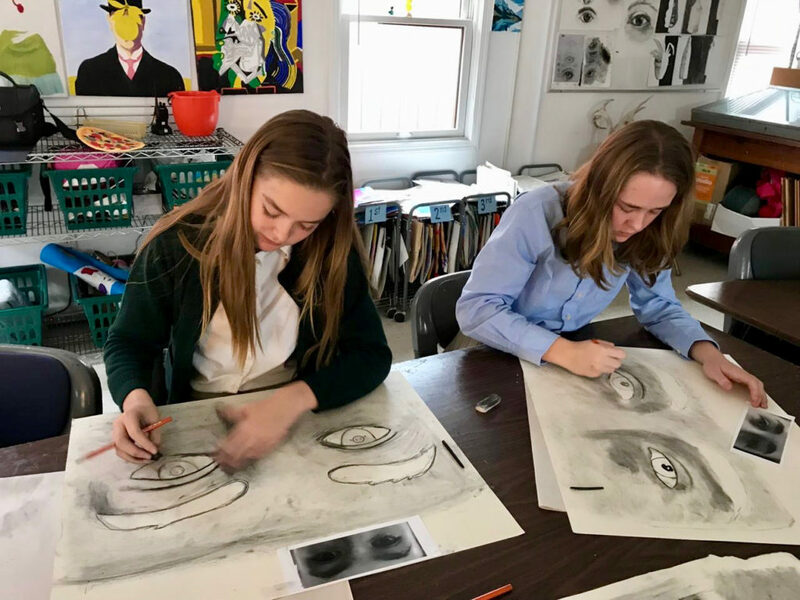 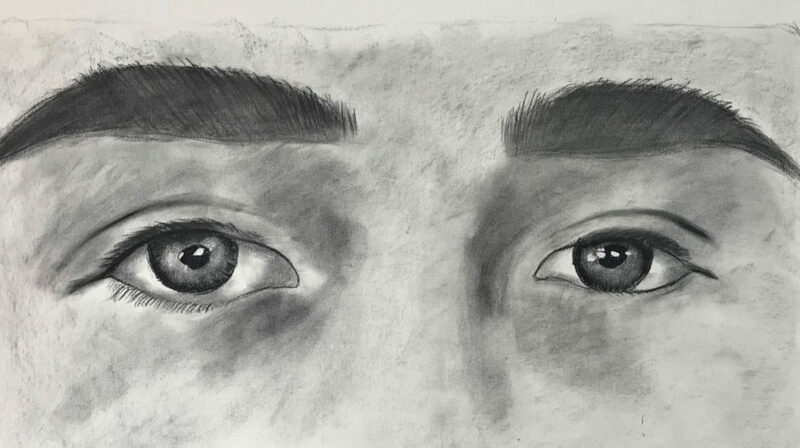 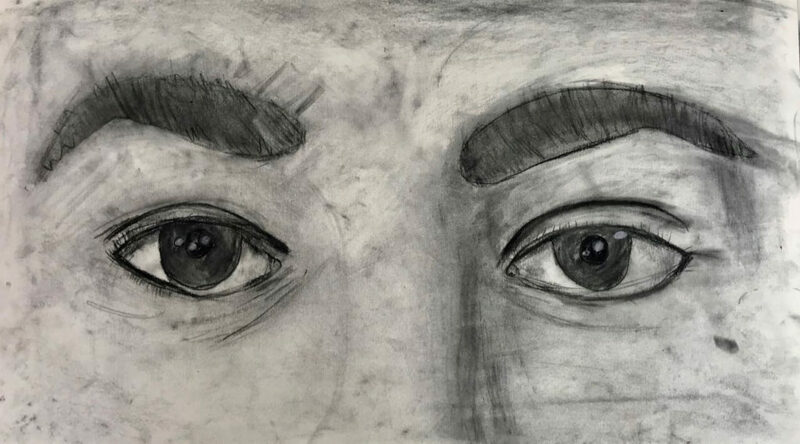 Recently in Kerrie Mullany’s upper school art class, students practiced drawing eyes. 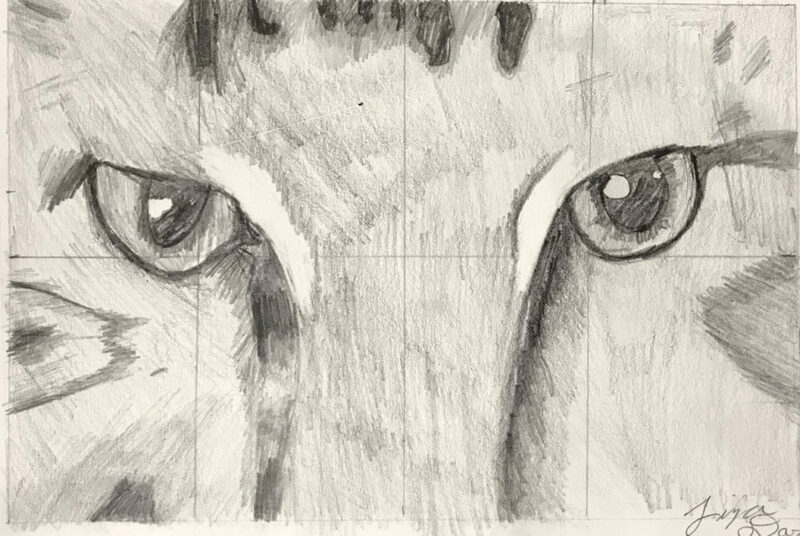 First, the young artists observed all of the various parts of the eye, both animal and human. 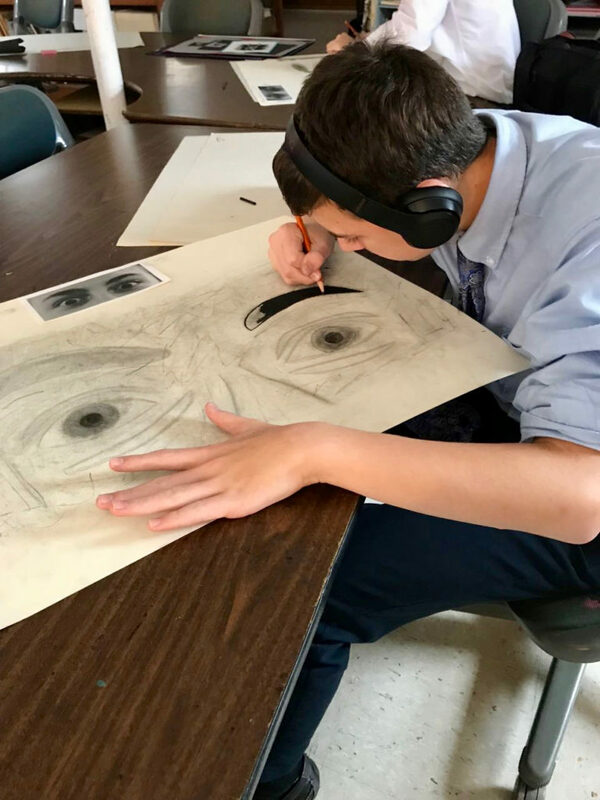 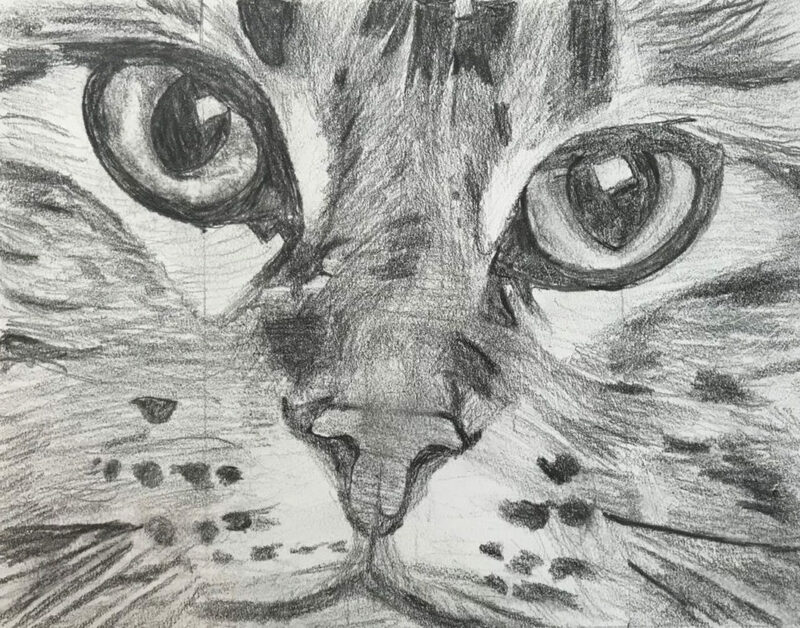 Then, students practiced how to best draw them by copying a small photo of an animal’s eyes in pencil, being sure to use a full range of values, light to dark. 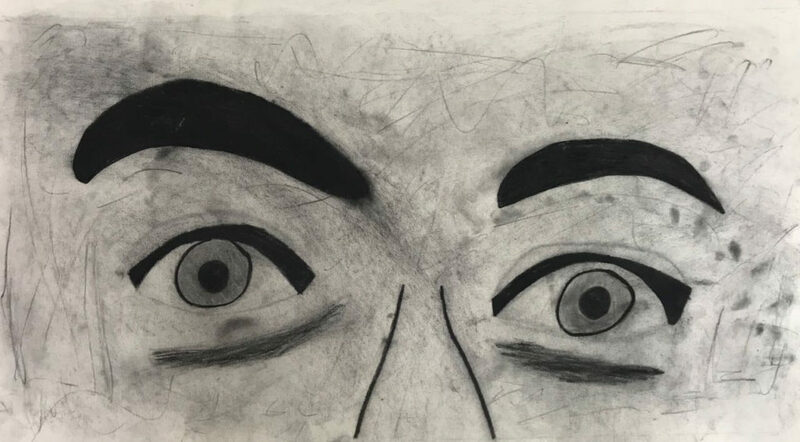 Finally, they worked on a large-scale drawing of their own eyes using charcoal as a medium. 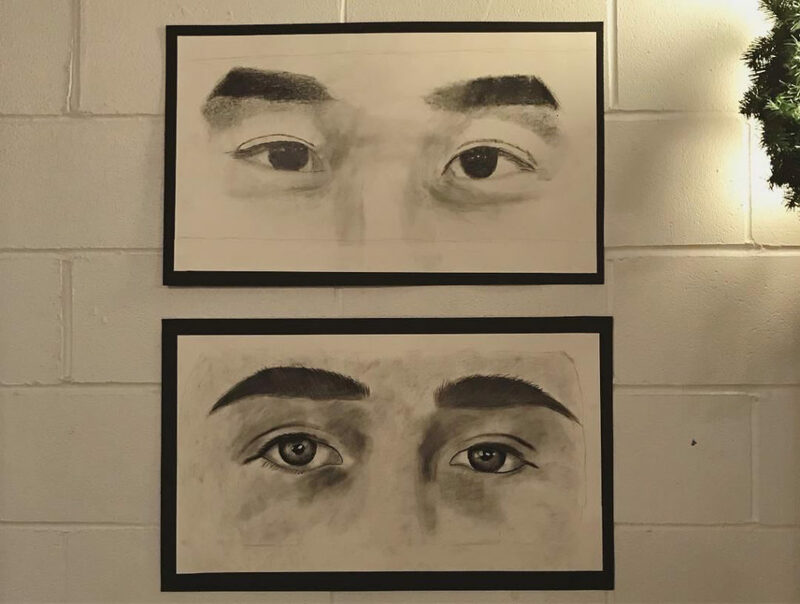 Assembly Honors Legacy of Martin Luther King, Jr.